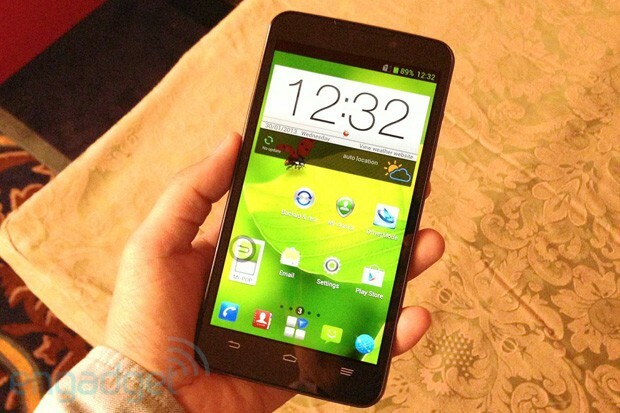 Remember that unnamed Acer phone we caught skulking about Intel's CES event? It's been given a proper launch: meet the Liquid C1. 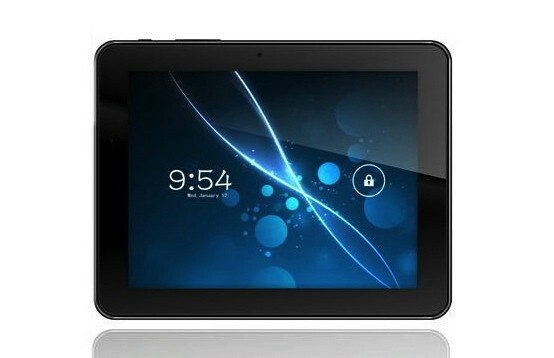 True to form, the fully revealed device centers around a Lexington-based, 1.2GHz Atom Z2420 processor. The chip gives the C1 enough grunt to power an 8-megapixel camera with burst shooting while keeping the price in check, at about 9,990 baht ($335) off-contract for the inaugural Thailand release in February. Locals will otherwise get a solid Android 4.0 smartphone with a 4.3-inch display, HSPA+ 3G and a battery that lasts for nine hours of 3G talk. Other countries in southeast Asia are next on the list to get Acer's turn at an Intel-powered handset, although we wouldn't expect to see it everywhere -- Intel's Uday Marty warns ZDNet that the absence of LTE will keep phones like the C1 away from markets where the faster data is commonplace. OpenFeint seed investor Peter Relan is fed up with his former creation's lack of existence -- the open source software once powered the social integration behind many mobile games. After Japanese social gaming giant GREE bought OpenFeint in April 2011 -- primarily to stifle competition with its own, similar service -- the service continued until it was closed this past December. Relan responded in turn, announcing plans for a new, similar service, called "OpenKit," that same month. 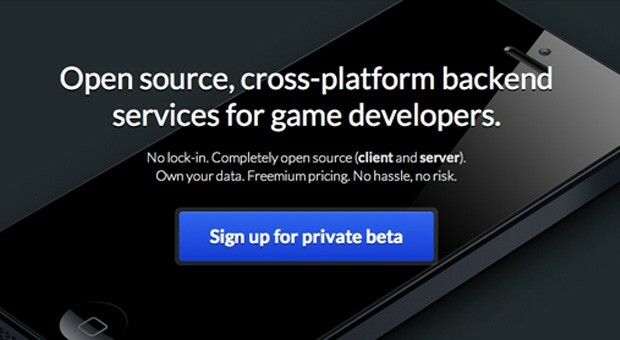 Tomorrow, that service goes into private beta, with a variety of mobile devs already signed on. The service can be employed across Android and iOS, implementing cloud data storage, leaderboards, achievements, multiplayer functionality, push notifications, and in-app purchases -- essentially exactly what OpenFeint once aimed to provide. Given the open nature of OpenKit, and Apple's already existing Game Center (which serves very similar purposes), we'd say this is gonna be a bigger hit with Android devices than iOS. Whether it gets adopted at all, however, remains to be seen. For now, it's in private beta, and "over 500 developers" have already signed on -- head to the main site if you'd like to take part. And do it quick, as only another 20 developers can get into the beta starting tomorrow. If you do miss out, there'll be more openings in the future, though Relan wouldn't tell us exactly when just yet. 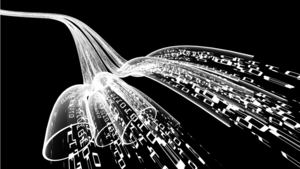 In an effort to prevent "drive-by exploitations," upcoming versions of Firefox will have Java, Adobe Reader and Silverlight disabled by default, according to a recent Mozilla Security blog. All other third-party plugins except Flash will also be disabled, requiring users to enable them using the so-called click to play feature introduced last year. All that is to prevent "poorly designed" Firefox plugins from crashing or recent headline-grabbing exploits involving the likes of Java, with Adobe's Flash player being the one exception that works out of the box -- though versions longer of tooth than 10.3 won't see daylight without your say-so. 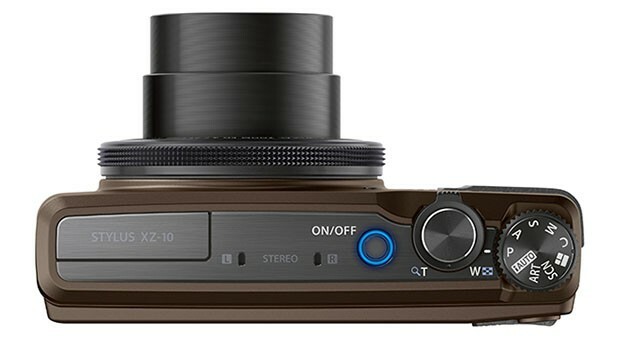 Olympus is carrying on the recent compact camera trend of fast-ish zoom lenses and wireless sharing capability with the launch of the 12-megapixel Stylus XZ-10. The new model follows in the footsteps of the company's top compact dog XZ-2 model, sporting a slightly smaller 1/2.3-inch sensor and a wider range 5x optical zoom with a similar f/1.8-2.7 iris. Otherwise, it's aimed more at the casual carry-around crowd with a 40 percent smaller body, touch-screen focus selection, control ring exposure adjustment, a 3-inch 920k dot TFT LCD, art filters (in the smartphone app), image (or film) stabilization and 1080P 30 fps HD video. Olympus is also trumpeting its smartphone OI.Share capability, allowing images to be sent wirelessly to an iOS or Android device and edited with the included app -- provided you have the optional Toshiba FlashAir card. It'll be arriving in March in black, brown or white at a rather steep-sounding £349, which equates to $550, though exact US pricing hasn't been revealed yet. See the PR after the break for more nitty-gritty. The large phone juggernaut rolls on with word on yet another contender raising its head in India, this time from the Spice stable. While the headline-grabbing 5-megapixel front camera may not be a world first, the Stellar Pinnacle Mi-530 rocks some decent specs for its Rs 13,999 ($260) asking price. The 5.3-inch qHD (960 x 540) IPS display hides a 1.2GHz dual-core chip, 1GB of RAM, 16GB storage, a microSD slot, dual-SIM support and an 8-megapixel rear snapper, all powered by a beefy 2,550mAh battery. We'd have preferred a more recent version of Mountain View's mobile OS instead of the Android 4.0 that the smartphone ships with, but it does attempt to spice up the offering with a bunch of software tricks, including Popup Play and Direct Call. Hardly ground-breaking, but hey, at least self-portrait addicts can indulge themselves without their hands tied. If you like what you've seen so far from RIM BlackBerry's big launch event today, then you might want to know when you can get it? Those in the US might have hoped the rumors weren't true, but indeed, you will have to wait until March before you can get your hands on BlackBerry 10. Though when it does land, customers of AT&T, Verizon, Sprint and T-Mobile will all be able to get onboard. 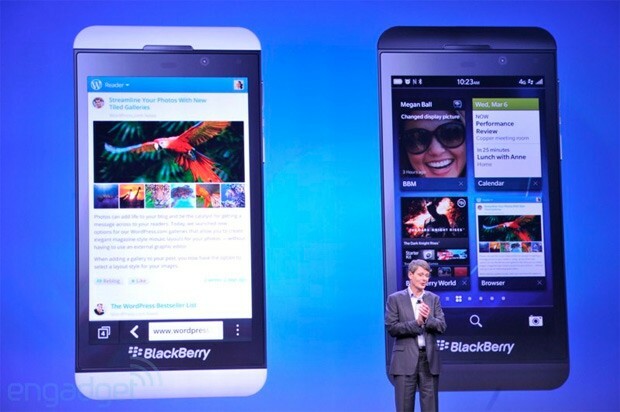 The latter of that list has already confirmed it'll be stocking the LTE version of the Z10. BlackBerry's giving its home turf a little bit of a head start with a February 5th release date, but -- as we'd already heard -- it's the UK that gets the goods first, with the Z10 and Q10 both available starting tomorrow on all the major carriers. 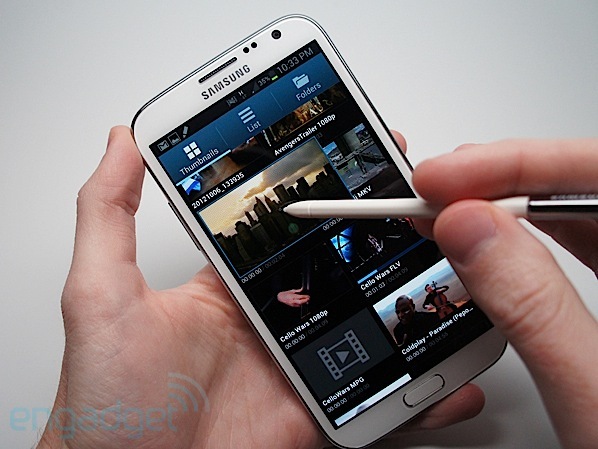 US pricing will depend on each operator, but expect to pay around $200. Huawei may have its 6.1-inch Ascend Mate for the convenience of hiding your face, but ZTE's also prepping its very own tabletphone to go head to head with its main rival. Dubbed the Grand Memo (V9815), this 5.7-inch 720p device made a surprise appearance at a ZTE event in Hong Kong today, and we got to snap some photos of it. The device looks identical to the P945 leaked earlier this month but packs some slightly different specs: 1.7GHz quad-core Snapdragon S4 Pro (same as the more premium Grand S), 13-megapixel camera, 8mm-thick body and Android 4.1.2. While the specs aren't too shabby, our colleague Stone Ip said the choice of finish on the body didn't feel as nice as the Grand S', and the silver bezel made the Grand Memo look worse, but in ZTE's defense it was a prototype and the design may improve in the retail version. On a more positive note, the new phone does include a microSD slot despite its slimness, and it comes with a "one-hand" T9 keyboard that can stick to either side of the screen for better single-handed typing, just too bad we were asked not to take a video of the device at the time. That said, the Grand Memo will be officially unveiled at MWC next month, so stay tuned for more. 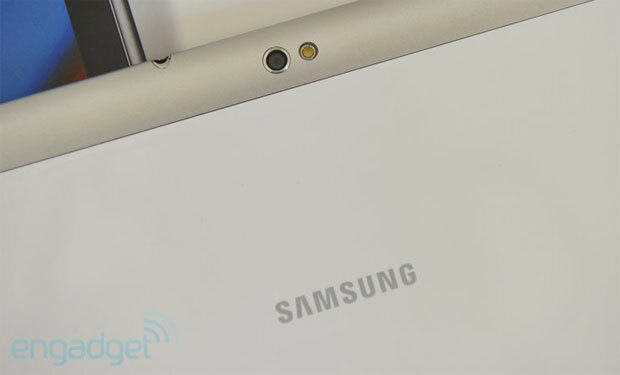 Three mystery Samsung Galaxy Tab profiles spotted: GT-P8200 model houses 2,560 x 1,600 display? While we know Samsung's planning plenty for us to see in Barcelona in a few weeks, we're still not certain on the specifics. Perhaps, then, it's got a handful of tablets for us. That's what these handful of User Agent profiles purport to show us. The model numbers GT-P3200, GT-P5200 and the GT-P8200 suggest that they'll join the Galaxy Tab family, although these profiles only give us a little detail to work on. The GT-P3200 appears to be the entry-level slab, with a 1,024 x 600 resolution more suited to tablets of yesteryear. This is cranked up to 1,280 x 800 for the P5200, while the GT-P8200 will apparently match the Nexus 10's pin-sharp 2,560 x 1,600 display. 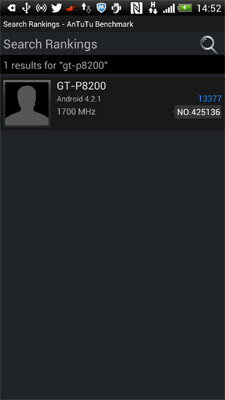 Unfortunately, there's nothing here to confirm screen-size, processing punch or much else, although we managed to sniff out an AnTuTu benchmark for the GT-P8200 that reckons it'll house a (presumably multicore) 1.7GHz processor and Android 4.2. However, like these User Agent Profiles, we're looking at these results with a suspicious glare until something more official surfaces. Between the trio, there's likely to be a division between two different sizes of tablet -- possibly either side of that Galaxy Note 8 that's set to be make an appearance next month. Check out the GT-P8200's short-but-sweet benchmark listing after the break. While big chunks of the industry may be feeling gloomy, the artist formerly known as IBM's PC Division keeps on raking in money. 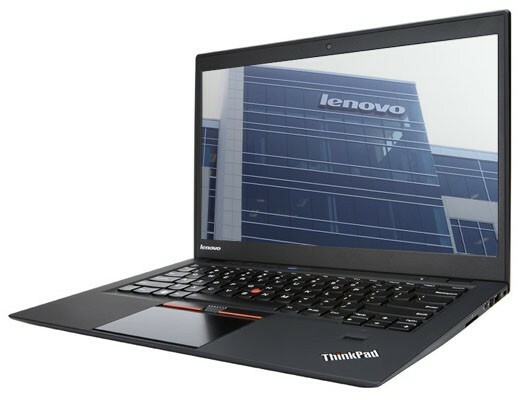 Lenovo's third quarter earnings report reveals that the company sold $9.4 billion worth of hardware, keeping $200 million of that back for itself in net profit. It's also seen its Chinese smartphone business turn a profit, and is now eyeing Russia as the next land ripe for conquering. Lenovo's corporate mattress is so stuffed that it probably smells of money, as the company has squirreled away $4.2 billion for a rainy day, or, you know, something else. 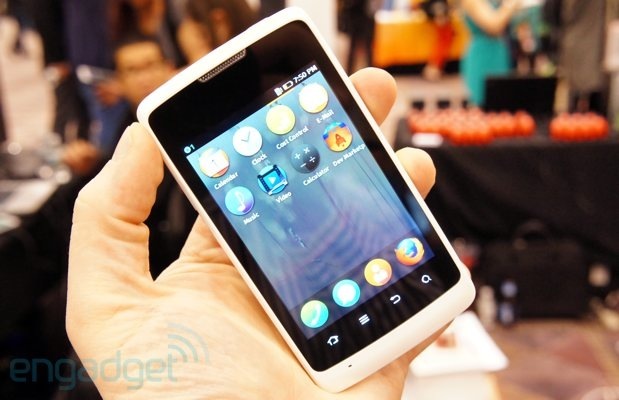 ZTE's plans for this year's Mobile World Congress just got a little more interesting. While we've already taken a look at the huge Grand Memo in action, the Chinese maker's invite suggests that there will be another "major new mobile device" to show us, throwing in a 'ZTEMozilla' hashtag for good measure. We knew that Mozilla and ZTE have been holding hands for a while, and this serves to confirm mutterings that we'd see some Firefox OS hardware early this year -- although there's no hint of that mysterious European carrier just yet. Hold on, Barcelona. We're coming. Not quite content with the release of its Grand S earlier this month, ZTE looks to be preparing a new tablet to go along with that aforementioned flagship handset. The V81 -- which will presumably make its official debut at this year's Mobile World Congress -- is, according to the company's own website, said to be boasting an 8-inch (1,024 X 768) display with a dual-core, 1.4GHz CPU (mum's the word on chipset specifics), 1GB RAM and 4GB of internal storage that can be expanded to up to 32GB via microSD. Speaking of which, other listed incisions include a full-size USB and HDMI, while a 3,700 mAh battery and Android Jelly Bean are also part of the relatively decent spec sheet. Naturally, pricing and availability details are still slim, but it shouldn't be too long before we learn more on that front -- in the meantime, there's a gallery filled with V81 press shots after the break for you to peruse over. We don't generally find surprises from Apple in the daily stream of FCC documents and test reports, but a new filing published today seems to suggest that a new Apple TV model of some sort could be on the way. While the diagram pictured above doesn't suggest any major changes to the device's appearance, it does list some slightly smaller measurements: 93.78mm square compared to the 98mm of the current model. 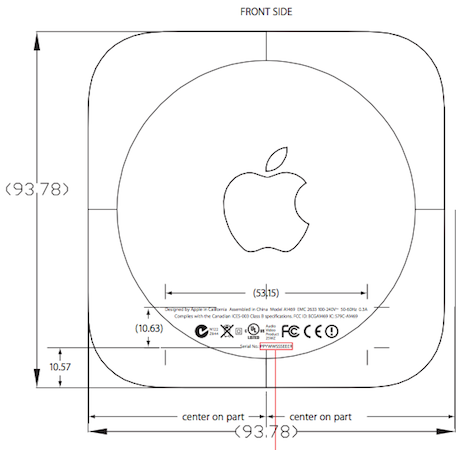 That's certainly not the biggest of differences, but the measurements in previous Apple FCC filing have been spot on. The model number, A1469, is also one that we haven't seen before, but the documents unfortunately don't offer much else in the way of details (only confirmation of the same WiFi capabilities as the current-gen Apple TV). As MacRumors noted yesterday, a look at the download options for the latest Apple TV software update also revealed a new "AppleTV3,2" model, which it speculated could be an international version of the device -- although it of course remains to be seen if it and this model are one and the same. For now, you can get a closer look at the filing yourself at the source link. Sony doesn't always break ground on new technology, but it tends to go big when it does. The company's new installation-grade Laser Light Source Projector (similar to the VPL-FH36 you see here) serves as a textbook example. While it's far from the world's first laser projector, it's reportedly the first with a 3LCD laser -- enough to put its 4,000-lumen brightness toward the front of the pack, and help with visibility in less-than-dark boardrooms. Details are scant beyond the projection system itself, although Sony does tout a presentation-friendly 1,920 x 1,200 resolution as well as a picture muting option that gets the show started quickly. We do know that the well-lit output will be tough to miss when the Laser Light Source Projector hits classes and offices in the summer. 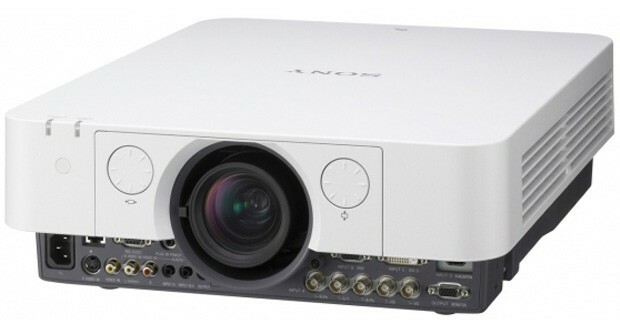 Basingstoke, January 29, 2013: Sony has today announced at ISE 2013 that it is launching its next generation WUXGA installation projector with Laser Light Source Technology. This ground-breaking product from Sony will be the world's first 3LCD laser, 4,000 lumens WUXGA (1920 x 1200) projector, making it the brightest projector of its kind and a first for the industry. This new addition to Sony's installation projector line-up follows the award winning and popular design of the VPL-FH31 and VPL-FH36 models, part of the F series which is widely considered to be the top product within its category in Europe. The chassis is designed for optimum flexibility with a clean white finish! designe d to blend in with its environment. The Laser Light Source Projector is free from the worry of lamp change with its increased durability and low total cost of ownership (TCO). With newly developed BrightEra[TM] 3LCD technology, the projector has up to 20,000 hours maintenance free time depending on the projector's environment and setup conditions. This feature, based on market feedback, is especially important in the corporate and education sectors where the projector is used for extended periods of time. "This announcement marks an exciting shift in the market. Sony's pioneering technology delivers on the promises made to our key partners to produce innovative products that perform and exceed market demands. Installation projectors not only have to reproduce the highest quality images but also be relatively maintenance free and eco-friendly. The Laser Light Source Projector delivers on all accounts being mercury free, offering an incredible brightness of 4,000 lumens," said Robert Meakin, Business and Education Product Manager, Sony Professional Solutions Europe. Based on Sony's Laser Light Source Technology, the projector incorporates lasers, rather than LEDs, to achieve optimum brightness. The white light, like traditional UHP light sources, is directed into the 3LCD engine to deliver incredible picture quality. As a result, the Laser Light Source Projector has substantially brighter images, better contrast ratios and outstanding colour stability. The projector also features a picture muting mode which allows the user to quickly start the presentation once the mute mode has been turned off. This feature enables the smooth presentation of images with high colour reproduction. The Laser Light Source Projector also delivers amazing installation flexibility as it is tilt free with an efficient portrait mode to ensure the projector is entirely user friendly for both corporate and education markets. 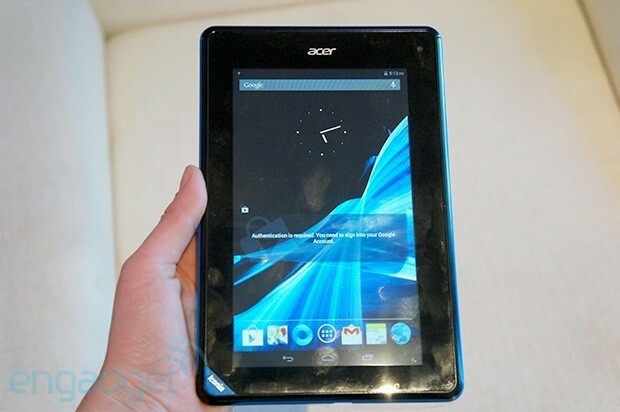 Acer pushed the boundaries of price for major brand tablets with its $150 Iconia B1. It's not about to quit with just one model under its belt, however. The company's Greater China head, Linxian Lang, explained to China Times that there should also be 8- and 10-inch tablets on the way with "aggressive" prices. 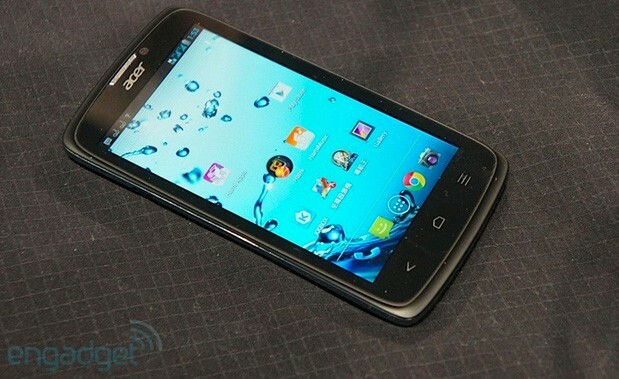 Acer isn't just adding more glass, either, as it's looking at quad-core MediaTek processors for a speed jump. There's no word on just when the larger budget slates might appear, although we wouldn't count on them coming to the US when the B1 has already been ruled out. 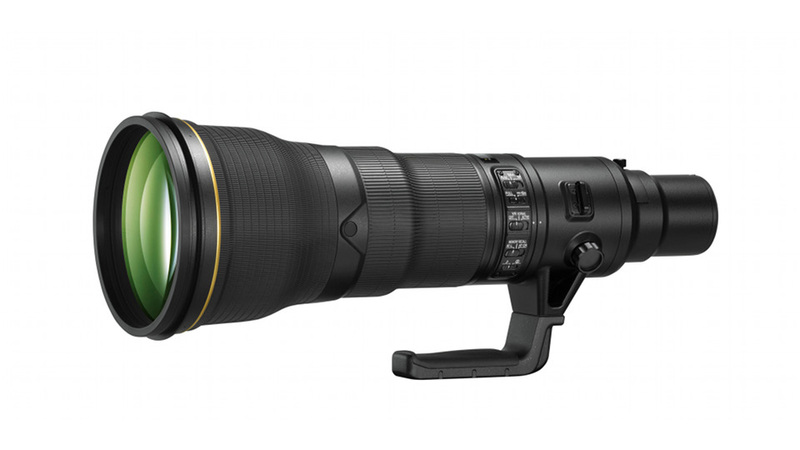 Nikon has been teasing development of the new absurdly long, fixed AF-S Nikkor 800mm, f/5.6 aperture lens since last year. Now it's here, and you'll be happy to know that this lens' crazy and inflexible magnification potential is coupled with the absolutely ludicrous price of $18,000. But don't worry, cheapskates, because there's an actually affordable new lens coming out, too. Despite the raves that recent micro four-thirds and Sony E-Mount cameras have received of late, there's still a dearth of lenses for the fledgeling systems compared to their more entrenched counterparts. Luckily, Sigma's just added to the pool of autofocus-equipped models for each system: updated 19mm F2.8 DN and 30mm F2.8 DN models along with an all-new 60mm F2.8 DN telephoto lens. Each Japan-made model has a "telecentric" optical design to minimize CMOS color issues, a metal exterior with silver or black color options, and a linear autofocus motor that Sigma claims is quiet enough to use for video. Meanwhile, the imaging outfit also announced an updated 30mm, F1.4 DC HSM model for Canon APS-C, Nikon DX and its own Sigma mount. All that's great news, though we're still waiting for an AF/electronic F1.4 or faster lens for E-Mount (there's only one on MFT as well) -- though this might tide us over, in the meantime. See the PR after the break for more info. YOKOHAMA, Japan - Jan. 29, 2013-Sigma Corporation of America a leading researcher, developer, manufacturer and service provider of some of the world's most impressive lines of lenses, cameras and flashes, today announced the release of four new lenses for the ART product line, including three lenses for mirrorless interchangeable lens cameras and one lens for DSLR cameras with APS-C size sensors. This announcement comes at the start of the CP+ Camera and Photo Imaging Show 2013 this week in Yokohama, Japan. 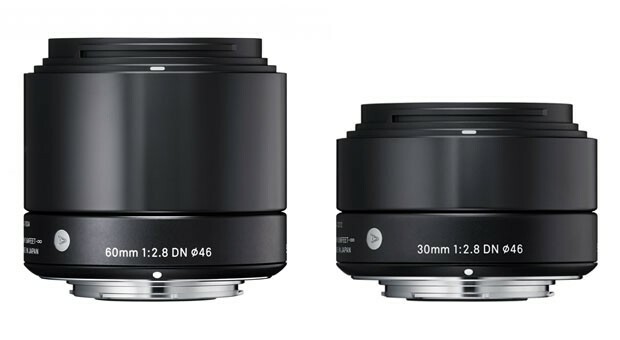 The new and updated Sigma lenses include the 30mm F1.4 DC HSM, which will be available in Sigma, Canon and Nikon mounts, and the 30mm F2.8 DN, 19mm F2.8 DN and 60mm F2.8 DN lenses, which are available for both Micro Four Thirds and Sony E-Mount camera systems. Pricing and availability on all of these lenses has yet to be announced. The 60mm F2.8 DN lens is entirely new to the Sigma lineup, while the 30mm F1.4 DC HSM and the 30mm F2.8 DN and 19mm F2.8 DN lenses are existing focal lengths that have been redesigned with enhanced optical performance and included as part of Sigma's new Global Vision category restructuring. All three DN lenses incorporate telecentric optical designs and a linear, auto focusing motor that ensures accurate and quiet focusing for video recording. They also boast metal exteriors and a simply shaped focus ring, with varying textures to distinguish each part of the lens. In addition, DN users can choose between a black or silver finish to match their favorite equipment. "We're really proud of the super sharp lenses we've produced in the past year and these new Art lenses will continue to impress our fans and critics alike. They're ideal for the landscape, portrait, still-life, close-up and casual photographer who values creative, dramatic outcomes above! 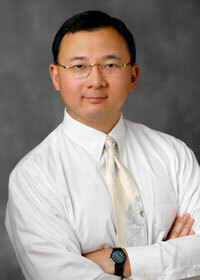 compact ness and multifunction," said Mark Amir-Hamzeh, president of Sigma Corporation of America. "The lenses are entirely made in Japan and they boast the new product line's sleek design and enhanced quality control. We're quite proud of these changes - and additions - to our lens lineup; they're further evidence of Sigma's forethought in this fast-moving industry." · 30mm F1.4 DC HSM Sigma's new USB Dock, which will enable firmware updates and focusing adjustments, is expected to be available in coming months.- Sigma pioneered the large-aperture, APS-C format, standard lens category with its 30mm F1.4 lens in 2005. With new optical configurations of nine elements in eight groups, as well as rounded aperture blades, this updated lens delivers pleasing sharpness and a beautiful bokeh background. Its angle of view is equivalent to 45mm on a 35mm camera (which is similar to that of human vision), its minimum focusing distance is 11.8 inches and its maximum magnification ratio is 1:6.8. The lens' optimized power distribution helps to minimize field curvature, prevent a loss of image quality at the edges of photographs and produce outstanding image quality. Its double-aspheric lens minimizes spherical distortion, astigmatism and coma, and its rear focus system prevents focus-dependent variation in aberration. Together, the new optimized auto focus (AF) algorithm and rear focusing system ensure smooth and accurate focusing. The new 30mm F1.4 is also compatible with Sigma's new USB Dock, which will enable firmware updates and focusing adjustments, is expected to be available in coming months. · 60mm F2.8 DN- Featuring the natural perspective of mid-range telephoto lenses, together with a shallow depth of field, this lens allows the photographer to capture a single part of a subject with great bokeh effects. It has an angle of view equivalent to 120mm on the Micro Four Thirds system and 90mm on the E-mount ! system ( 35mm equivalent focal length). The minimum focusing distance is 19.7 inches; the maximum magnification is 1:7.2. This lens also contains Special Low Dispersion (SLD) glass, which helps minimize axial and transverse chromatic aberration. · Sigma 19mm F2.8 DN - This high-performance, wide-angle telephoto lens has an angle of view equivalent to 38mm on the Micro Four Thirds system and 28.5mm on the E-mount system (35mm equivalent focal length). 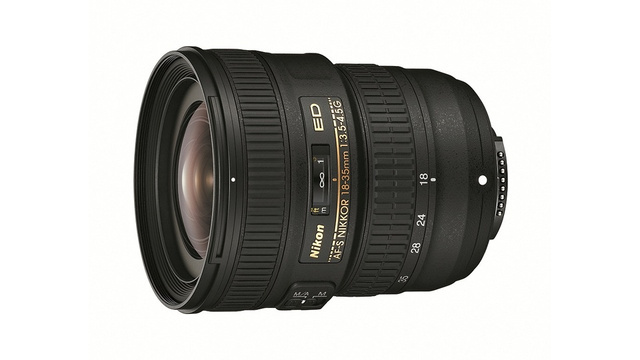 As a wide-angle lens with excellent mobility, it is ideal for studio photography, architecture and starry skies. Its minimum focusing distance is 7.9 inches and its maximum magnification is 1:7.4. · Sigma 30mm F2.8 DN - This high-performance, standard telephoto lens has an angle of view equivalent to 60mm on the Micro Four Thirds system and 45mm on the E-mount system (35mm equivalent focal length). This lens, which is perfect for casual and formal portraiture, documentary photography, travelogues and everyday shooting, includes a double-sided aspherical lens that enhances its optical performance. Its minimum focusing distance of 11.8 inches and its maximum magnification is 1:8.1. For information about Sigma Corporation of America, visit www.sigmaphoto.com. For the full press releases for each of these new lenses, visit Sigma's news section at www.sigmaphoto.com/sigma-news. For more than 50 years, Sigma Corporation's expertise and innovation has driven the company's core philosophy of "knowledge, plus experience, plus imagination,"with anemphasis on producing high-quality, high-performance photographic technology. This family-owned organization is the largest, independent SLR lens manufacturer in the world, producing more than more than 45 lenses that are compatible with most manufacturers, including Sigma, Canon, Sony, Nikon, Olympus, Panasonic and Pentax. Sigma Corporation also produces digital SLR cameras and high-definition digital compact cameras. The company is ! headquar tered in Japan, with offices strategically located throughout Europe, Asia and North America. For information, please visit www.sigmaphoto.com. 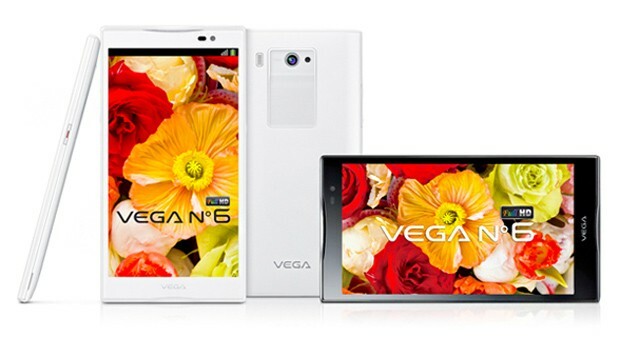 It's been such a mighty, mighty long time since the Vega No. 5 came out to tug on the Dell Streak 5's coattails, but Pantech has just announced the next installment in its phablet series: the 5.9-inch Vega No. 6. 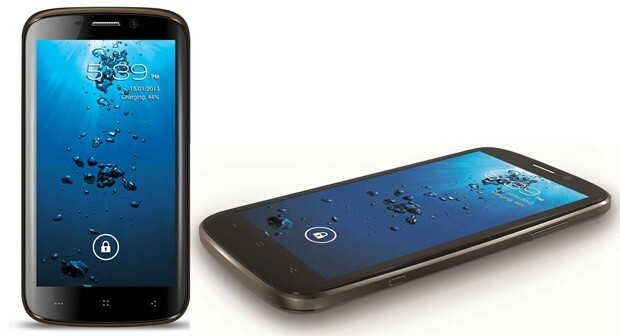 The Android 4.1 handset opts for an IPS LCD display, alongside a 13-megapixel rear camera capable of 1080p30 video and a hefty 2-megapixel front-facer. The battery is pretty big too at 3,150mAh, and it's powering a Snapdragon S4 Pro, which means the only thing we're missing right now is some concrete release info -- the official announcement has so far been entirely Korea-centric. Streaming video is the future. Well, it's the present, but the future too. And as resolutions increase, it's going to be a tougher and tougher proposition to pipe all that data to your screen of choice in a timely fashion. Fortunately, the new H.265 standard has been approved by the ITU and it's here to help. Also known as High Efficiency Video Coding (HEVC), the H.265 standard should make HD video streaming easier and could make even UHD (formerly known as 4K) streaming feasible whenever that becomes a thing that people actually might want to do. Ideally, new compression techniques that come along with the H.265 standard should make 1080p streaming possible while only requiring about half as much of the data that's required today. On top of making it easier to stream increasingly high definition content, the new standard should also make it easier to stream stuff on less-than-zippy networks, bringing higher quality video content to mobile devices with less of a wait on buffering.